Cheesemaker Gianni makes eight wheels of Latteria Valsassina per batch, two batches per day at his small village dairy. He receives milk twice daily from six farms, sent immediately to his unique conical vat. 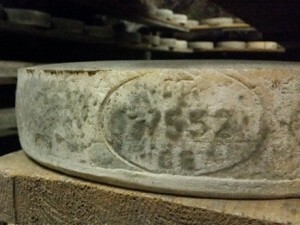 After cutting, the curd is lifted via cheesecloth to wooden forms, where it is pressed with millstones for draining. PROFILE Pliable texture, fruity, then warm, herbed butter finish.